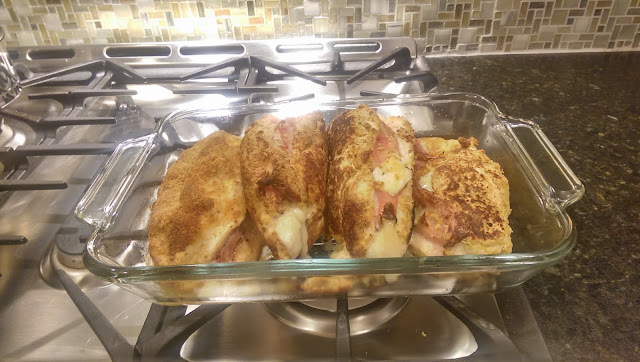 Yet another yummy stuffed chicken recipe, but this one is a bit more work and cleanup. Slice and stuff the chicken, then dredge and fry. Finish in the oven. Recipe is at the link below. Drool is at the picture below that.